BM 2/c Sylva E. Marcum, son of Lester Marcom, graduated from Frederick High School; husband of the former LaJune Valentine. 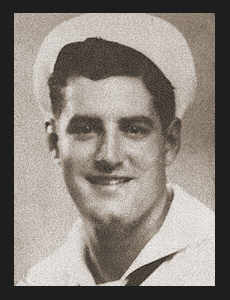 Entered Navy in April, 1944; trained in San Diego, Cal. ; served in New Guinea, Japan, Okinawa, Luzon, the Philippines; isnow on duty abord the U.S.S. Oxford near Japan.